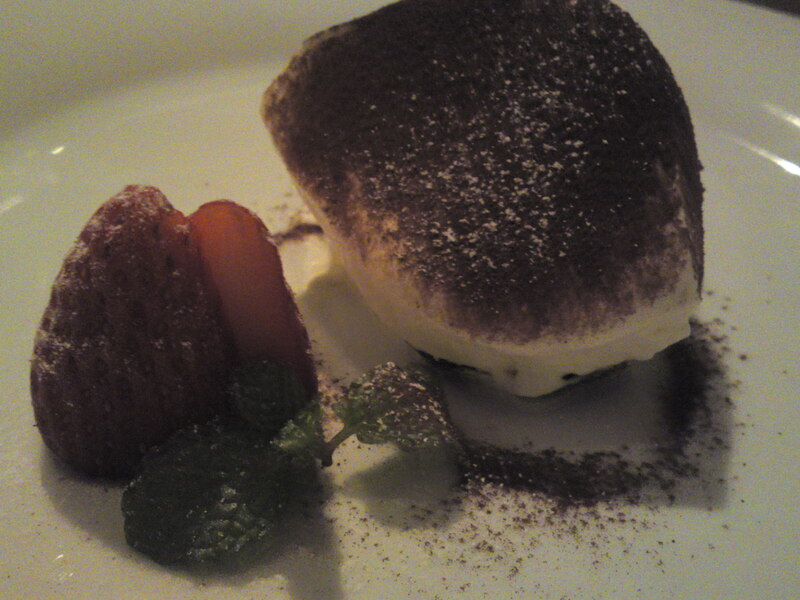 Italian Gastronomy: End of The Year Dinner at Soloio! 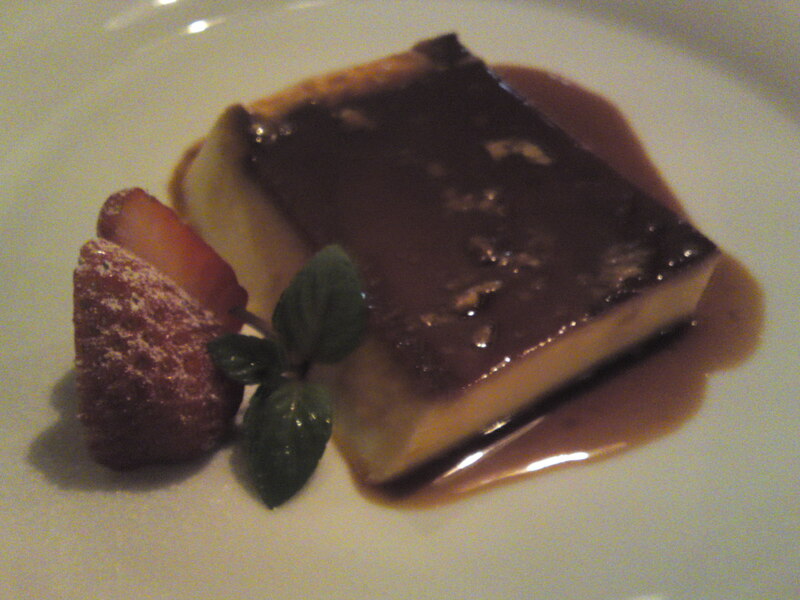 End of the year parties and dinners are a tradition in Japan before the New Year when people meet at families’ homes. These can either be very private or quite raucous affairs with enormous crowds in the latter case. 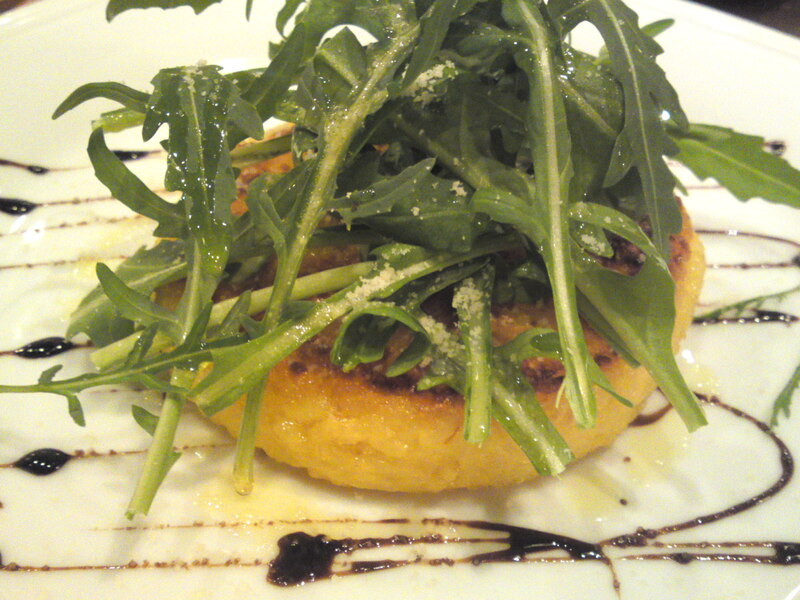 For private reasons the Missus and I had decided to limit ourselves to a group of three (the two of us and a special friend) and have our dinner at our new favorite Italian restaurant, namely Solio in Shizuoka City! I don’t need to introduce any more Chef Takehiko Katoh/加藤武彦 and Sommelier Mieko Osawa/小澤三江子, so let me just show you what we had the pleasure to savor! The first (the others were forgotten in our conversations!) 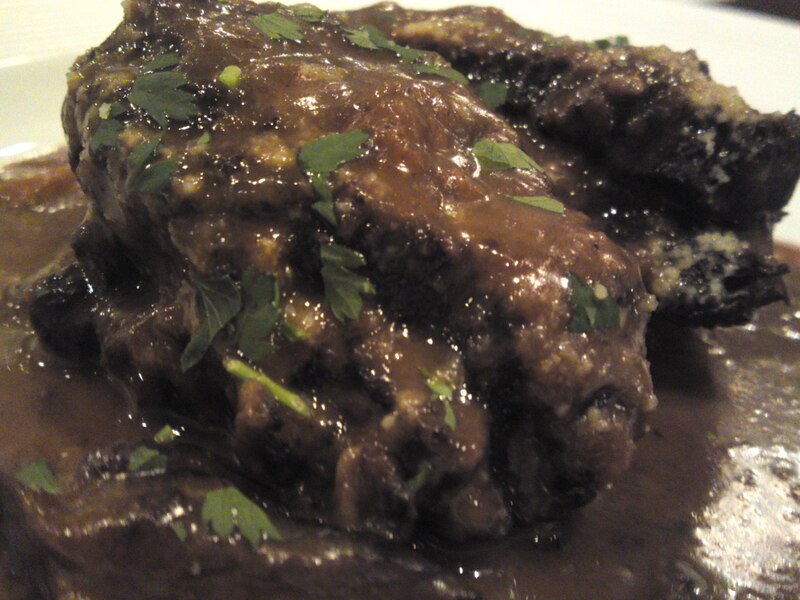 bottle of wine was a Red Chianti, Panizzi 2008 Sangovese grapes. 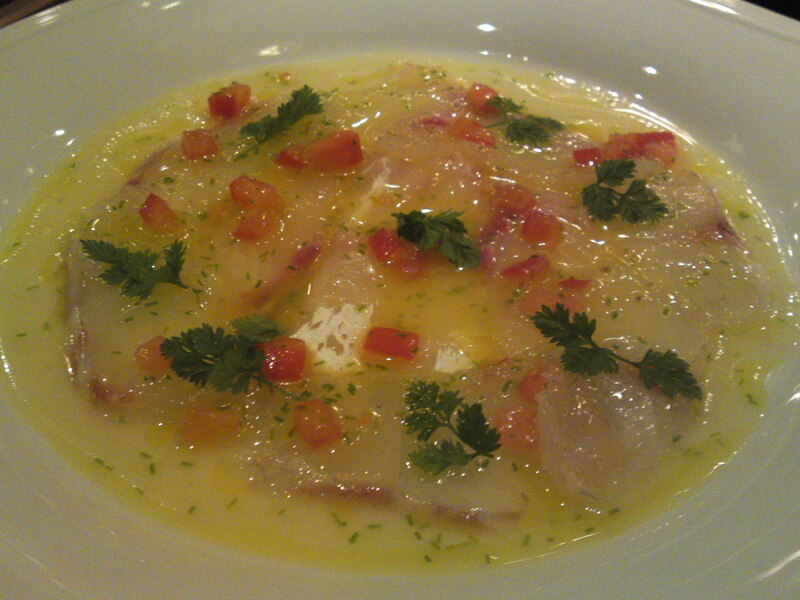 Our first appetizer was Shizuoka Suruga Bay madai/true seabream carpaccio! Very fragrant thanks to the fresh herbs! 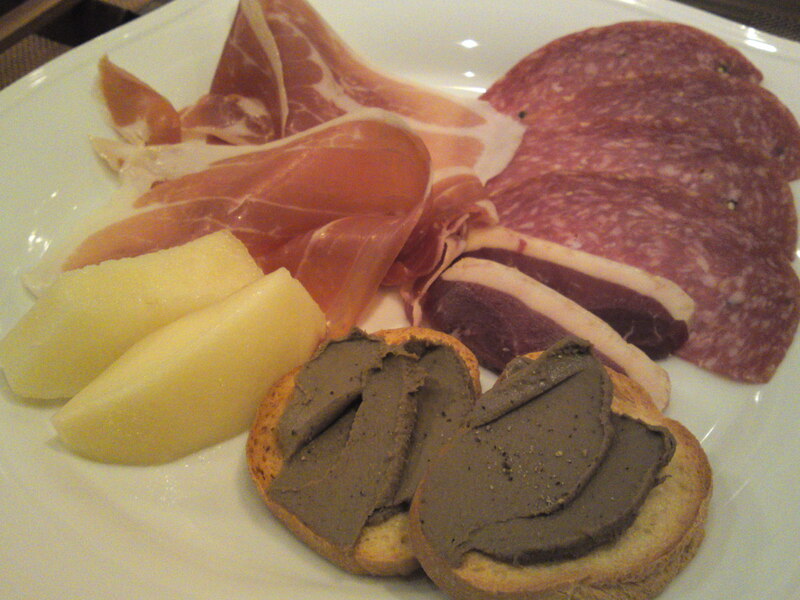 Second appetizer: Italian raw ham and salami with pears and liver paste! 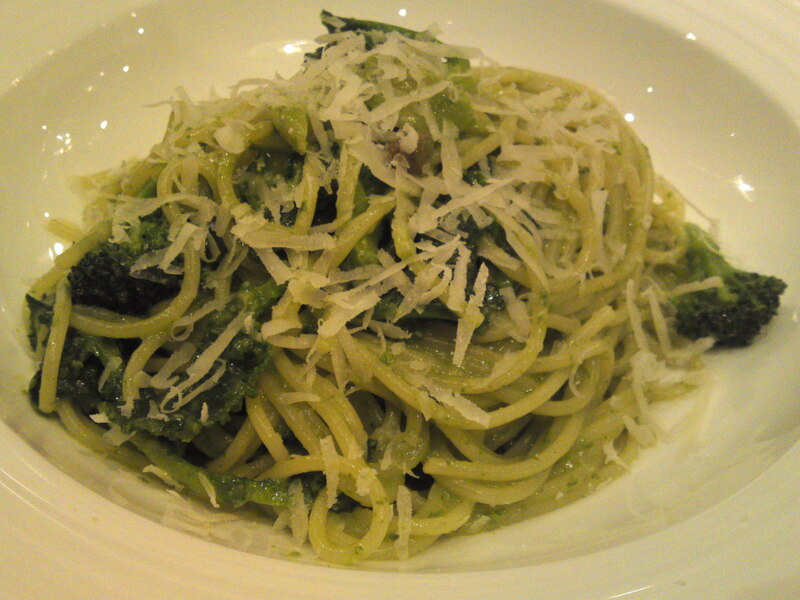 As pasta, Genovese-style pasta with Shizuoka-grown broccoli! 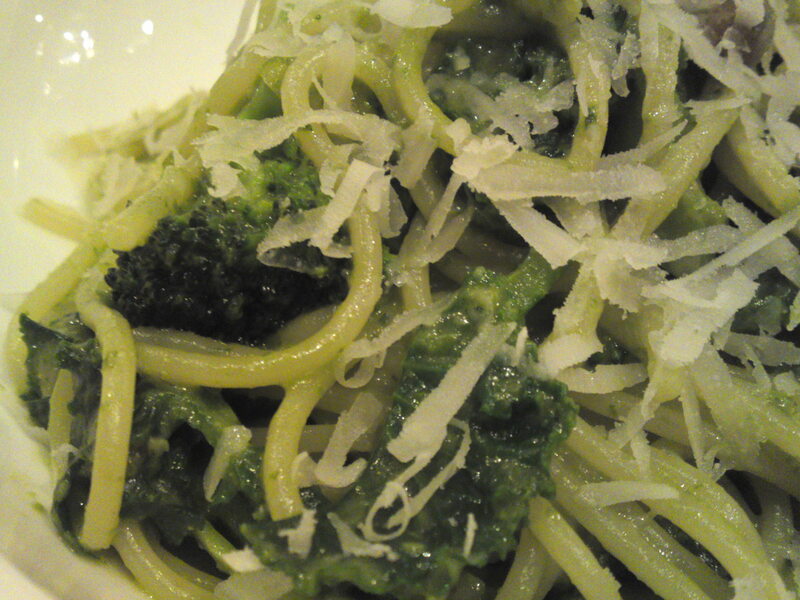 Very light and tasty pasta dish making use of all the parts of a branch broccoli! 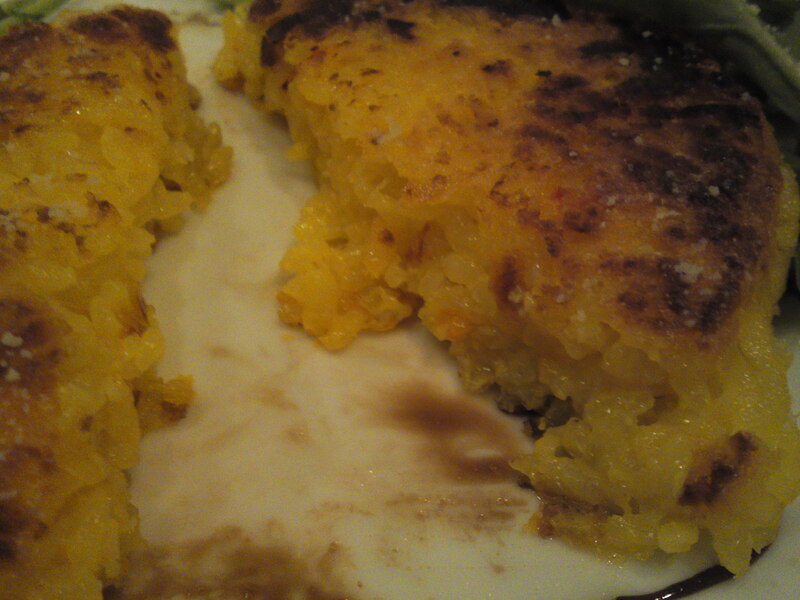 As for rice, a dish famous all over the city: Milano oven-baked saffron risotto! As it comes out of the oven! Very much lighter than you might expect! 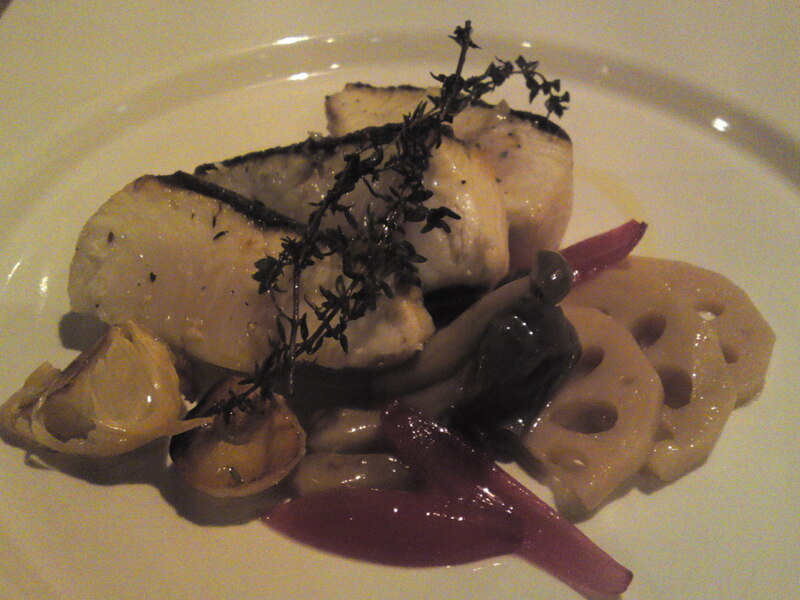 And then we switched to fish: Suruga Bay kanpachi/環八/Amberjack pan-fried with Shizuoka vegetables! 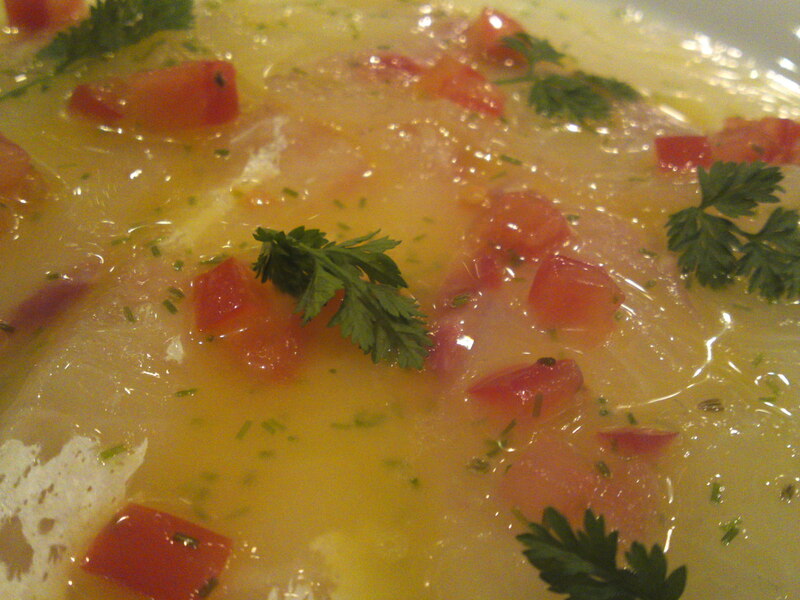 Extravagant simplicity with such fresh local products! No wonder some local celebrities also start to patronize the establishment! 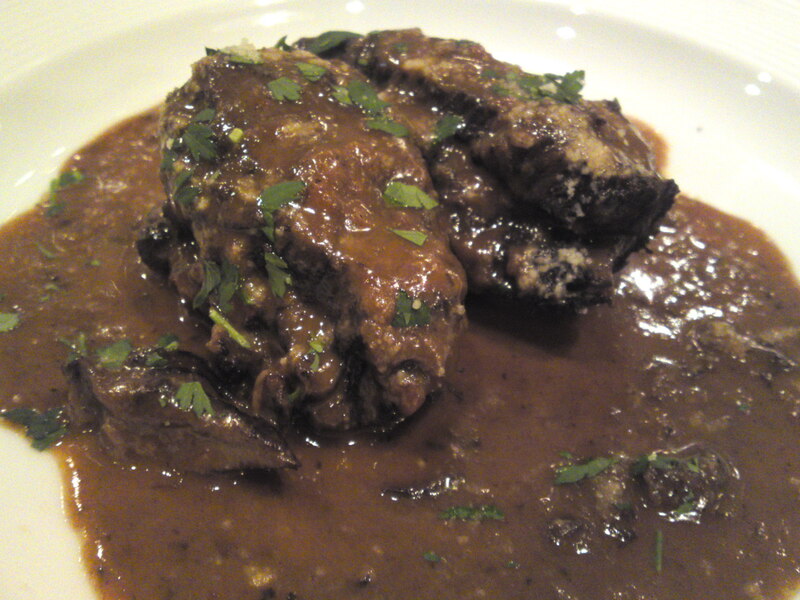 The meat dish was an “imported” affair: Venison/Deer foreleg from Nagano Prefecture stewed in red wine! 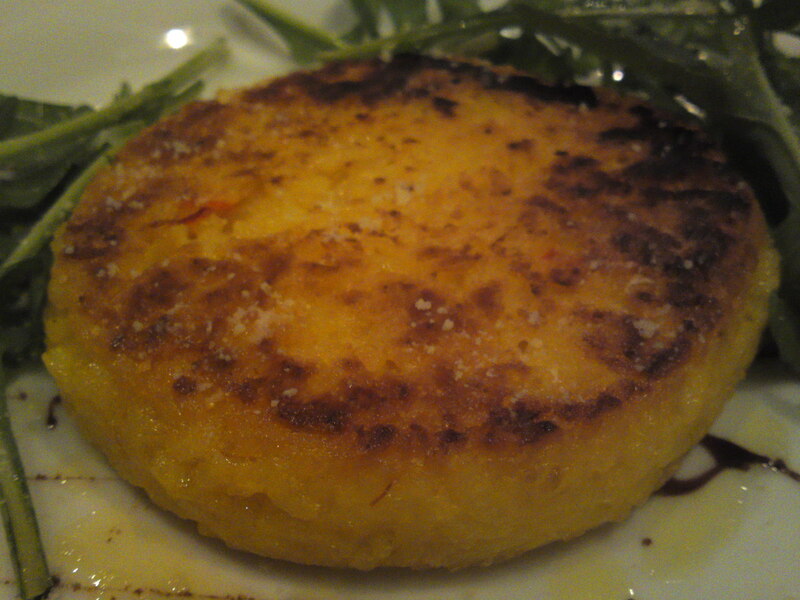 It was so tender you had no need for fork! Mind you, it took no less than seven hours to prepare! 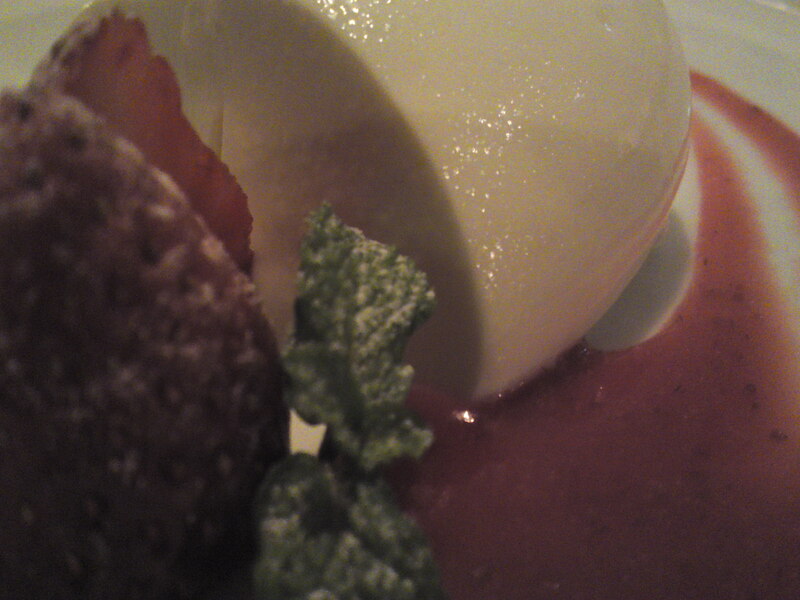 Italian restaurants are not famed for elaborate desserts, but Solio’s desserts are irresistible in their simplicity! 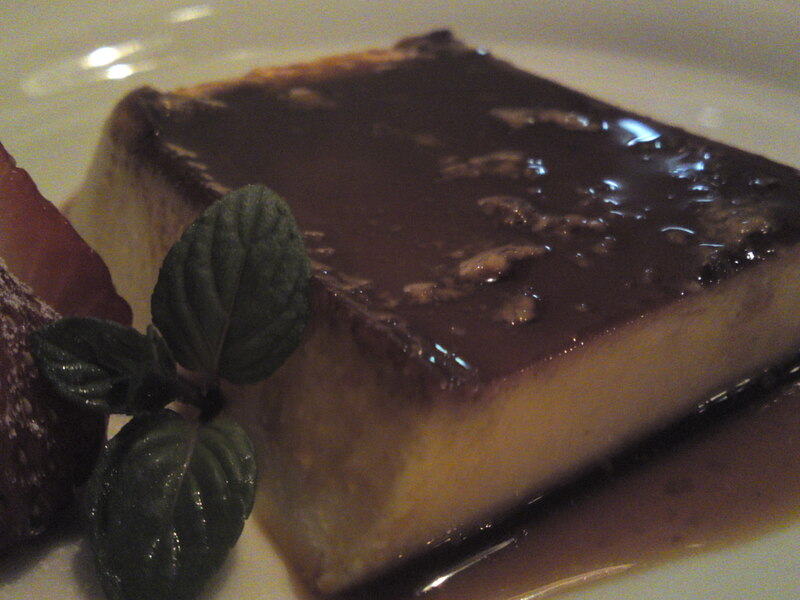 Pudding with almaretto caramel sauce! 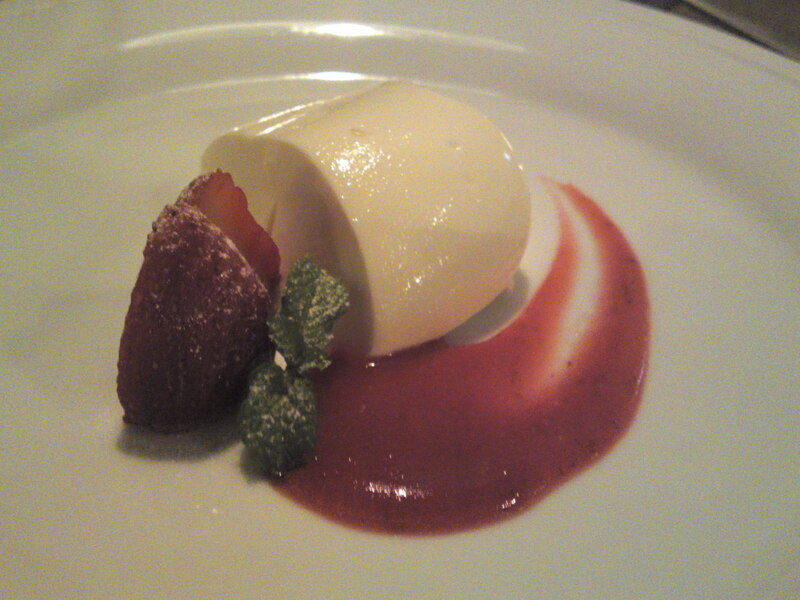 Panacotta with Shizuoka strawberry coulis! 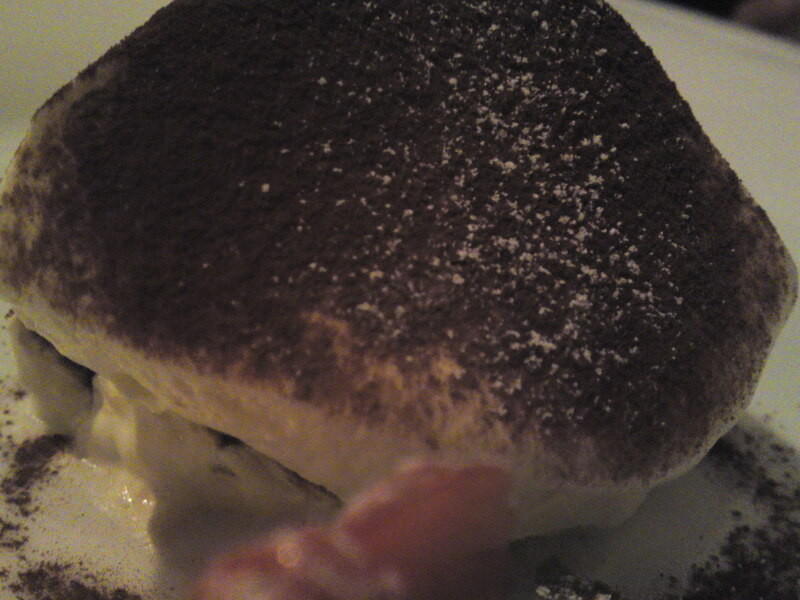 I had a hard time resisting the impulse to lick the whole plate! See you next year, or more aptly said, next season! Previous PostJapanese Vegetarian & Vegan Cakes: Wagashi/和菓子 18: Sweet Potato Wagashi RecipeNext PostIzakaya: Hachokura in Shizuoka City JR Station! Happy New Year – Bonne année, à votre santé! I wish you and your ‘Missus’ a beautiful, worry-free year 2012 in peace, good health and prosperity w/o earthquakes ! Keep bentoing! 2012 should be better than 2011! The dinner looks fantastic! I also tend to prefer very close friends’ company and not big crowds now. Bonne Année encore une fois ! I will drink to your and your wife’s health tonight! The same here, to be sure! 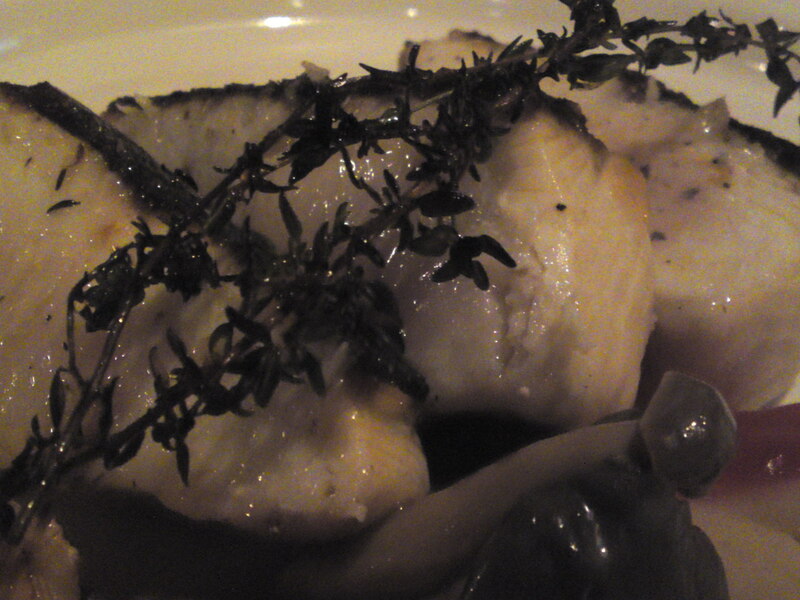 A great meal to end the year! May I wish you a Happy New Year, and I look forward to your wonderfully informative posts in 2012. Bonne annee et bonne sante. And a Happy New Year to you too and your dear ones!